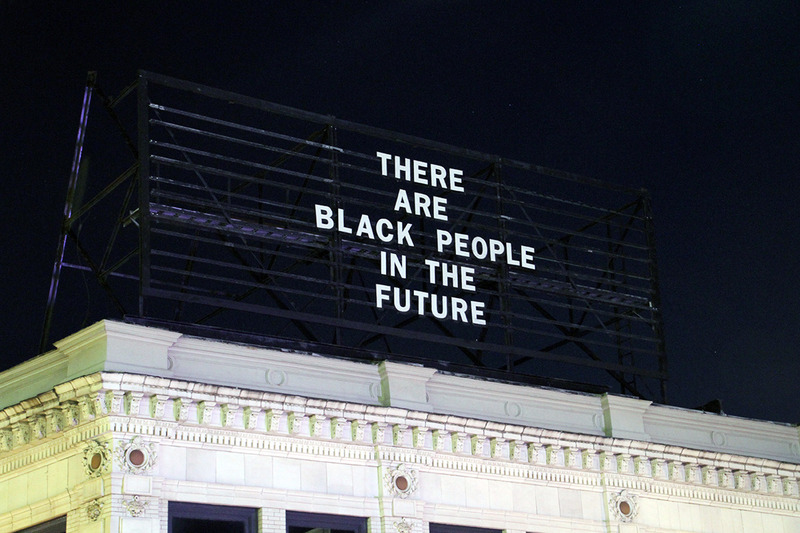 The above statement was issued earlier this week in response to the removal of artist Alisha Wormsley's text in East Liberty. Its removal and the subsequent outcry from the community are yet another in a series of never ending heartbreaks in the story of East Liberty, the neighborhood that we love and yet breaks our heart on a nearly daily basis. You can read more details of it here in the Post-Gazette, or in the CityPaper, or here via WESA. Tony Norman wrote about it in his column in the Post-Gazette as well. The landlord has since released a statement saying that, given the community support of the artwork, they are willing to have the artwork reinstalled. But frankly, the offer of reinstatement is completely beside the point. The artwork's removal, the manner in which it was done, and the outcry are symptoms of the big, deep, and painful issues at play in the community and the inability of the powers that be to accept responsibility for and engage in the dialogue that challenges them and makes them uncomfortable. East Liberty has undergone tremendous change in the past ten years. Even if one views some of these changes as positives, it cannot be denied that the speed and the scope of this transformation has shaken the community to its core. Displacement is happening on many levels - physical, cultural, and economic. And with this displacement comes the threat, both real and perceived, of erasure of members of our community most impacted by the development and displacement - people of color, seniors on fixed incomes, persons with disabilities, low-income working families, and all the ways these groups intersect. When community members raise concerns about the role of institutionalized racism and white supremacy in the transformation of the community, they, we, are told "no, no, everyone is welcome in the new East Liberty..." What goes unsaid is the subtext of "...if you can afford it and if you are willing to behave as expected..."
Up until now, no one has been leading the way in facilitating the difficult and challenging conversations that need to happen for this neighborhood, for this city, to move forward in a truly inclusive way that benefits ALL of Pittsburgh. None of the powers that be - those with the powers imbued by money, access, privilege, and yes, race - are willing to put themselves out there to create forums for these conversations that will make them uncomfortable about their roles in the trauma inflicted by these changes. Instead, the burden is continuously placed on the shoulders of those with the least power and access to resources. The removal of this artist's statement from the public sphere and the subsequent outcry from the community is a call from all of us to have these conversations, no matter how uncomfortable they may make each of us about our roles and our position and our responsibility in this. We ask, no we demand, that time, energy, and resources be contributed, from those with such in hand, to the community so that this conversation can be had. The Kelly Strayhorn Theater is hosting an open conversation about art, public space, and how we talk about art as a community on Wednesday, April 18, 2018 at 4:00 pm. This conversation will be an opportunity for East Liberty to examine the different aesthetic and cultural values in our uniquely diverse neighborhood. We encourage you to attend this event, but this meeting should not and cannot be the only opportunity for this critical conversation. This is a dialogue that must continue. And the resources to have these conversations must be freely given to allow the people to truly lead. Diverse rental auto affiliations may claim to be the best relationship by significance of their unassuming rates and dumbfounding refunds yet they slump pitiably on giving quality rental auto affiliations. Rent a Car Islamabad Thusly it is basic while analyzing for the broad rental auto associations one needs to look past the attracting lines of refunds and unassuming auto rental rates. May Day Celebration at Enright Park!